If there’s a golden rule for all new school parents, it must be to name everything. From pencils to shoes (yes, shoes!) you want everything that goes to school clearly named. No name, no return! 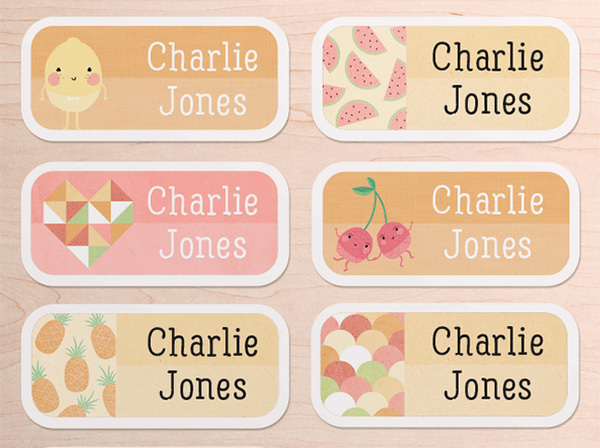 Jump on through to find just how easy it is to label it all with our fun label finds. Kids these days, they all love an emoji! 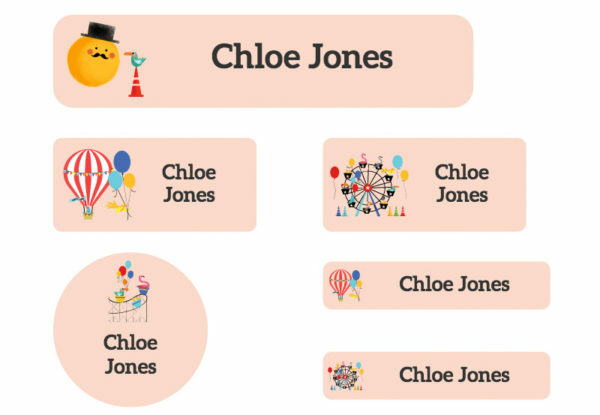 Stuck On You has a fantastic Emoji Value Pack available, packed with a mixture of multi-use labels and a brilliant emoji personalised bag tag, making sure all your child’s belongings are named. Labels are emblazoned with all their favourite emojis, and with a handful of funny new faces, they’re definitely going to bring a smile to your school kid’s dial. Brilliant fun and value for money at $39.95, the Emoji Value Pack is available now at Stuck On You. 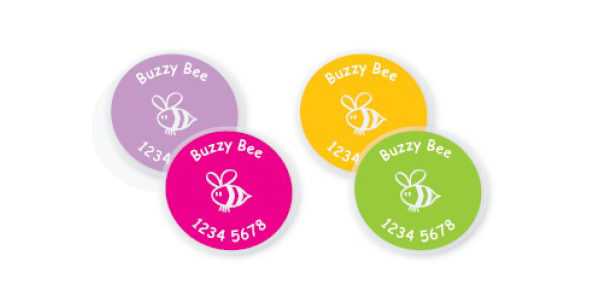 Make your child’s school bag easier to spot in a crowd with a distinct bag tag. 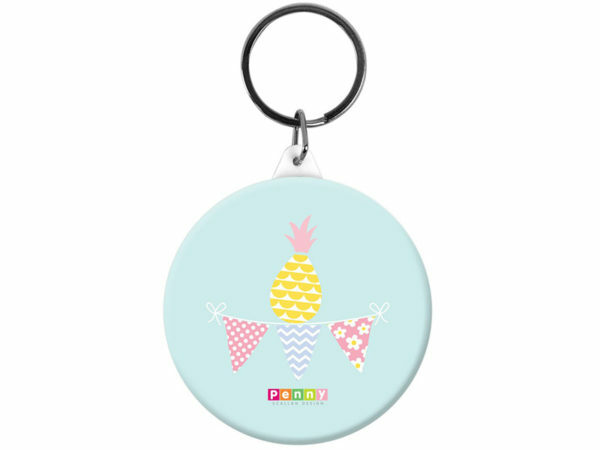 We love the adorable pineapple bunting offering from Penny Scallan, $6.95. Shoes can also get mixed up with others, especially when children in the same class wear the same shoes. Eliminate all confusion about rightful owners with personalised shoe labels. Check out these packets of 20 coloured shoe dot stickers from Identi Kid, priced $20. 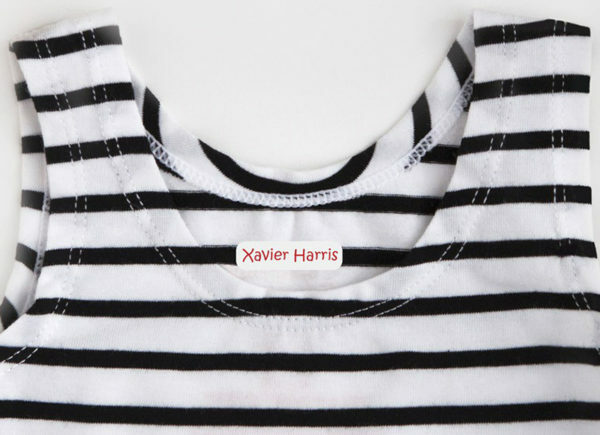 A set of 30 Mini Clothing Labels will stand you in good stead for the school year. Label everything from shirts to socks and jocks (trust me, the swimming centre change room can be a minefield of lost property) with the touch of your iron. Available from Bright Star Kids, just $11.95 for 30. Here’s a pack brimming with label stickers (90 to be exact) – it’s the Mixed Name Stickers Pack, $35, from Hippo Blue. Choose from six different designs including this divine Busy City theme! I love a label pack with mixed designs because let’s face it, settling on just one design is tricky. 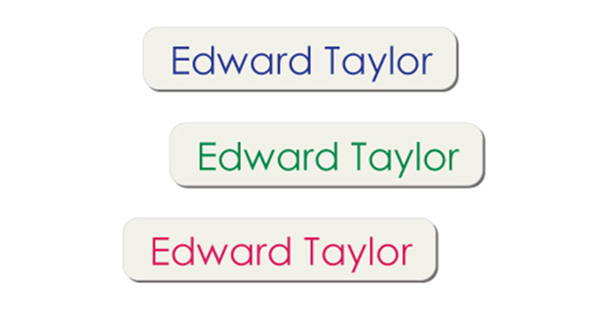 Pick your colour scheme of choice and enjoy a variety of designs in your one pack of 32 labels. Order direct with Tiny Me, priced $15. 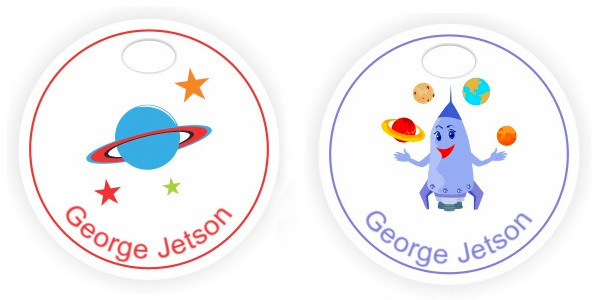 Designed to withstand whatever the kids throw at them, these super tough personalised bag tags are scratch and fade resistant. Bags will always find their way home with a personalised bag tag, priced $5.95 from Label Kingdom. Allergy mums and dads, here’s a welcome sight for you! 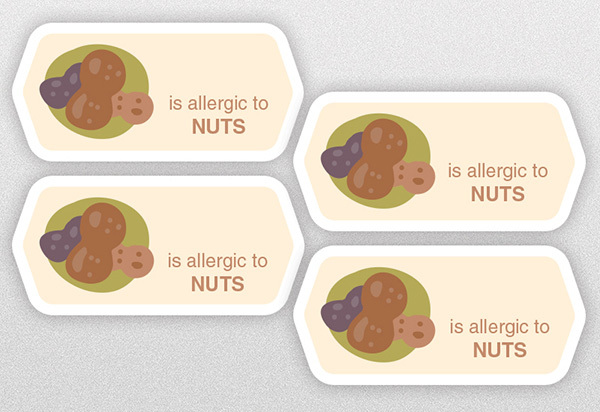 Whatever your child’s allergy – from nuts to fish, chances are there’s an allergy label with a caution for your child’s allergy on it at Cute Land. Nab yourself 48 stickers for $18.95. Library bags, school bags, swim bags – they all need naming too. 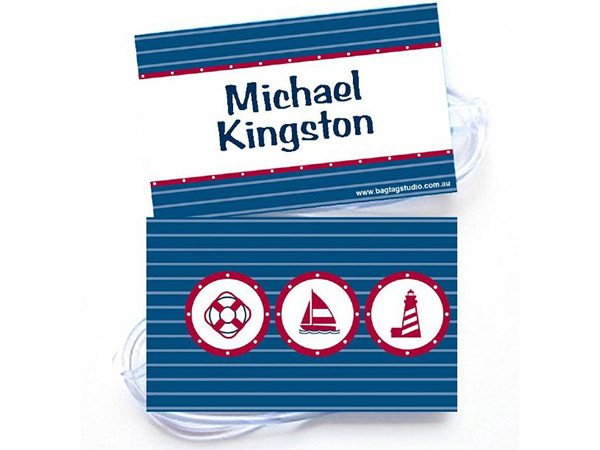 Give your child’s bag a nautical edge with a double sided Sail Away Bag Tag. It’s $9.95 from The Bag Tag Studio. Rounding out our tag and label guide are these clean cut and ever practical iron-on labels. A simple durable, long lasting and fuss free iron-on label which gets the naming school uniform job done. Find them priced at $16 for a pack of 35 at That’s Mine.